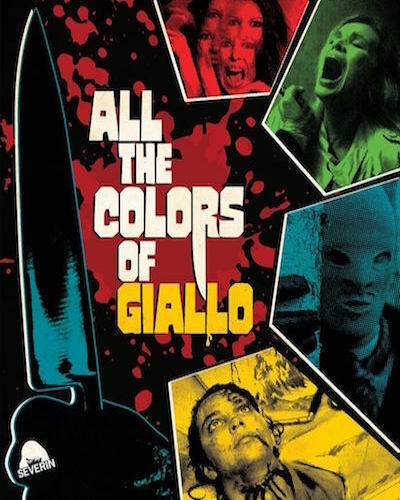 All the Colors of Giallo features a black-gloved barrage of trailers, featurettes, music and more! There is even a disc devoted to Krimi films, the German cousin to the Giallo. DISC THREE: The Strange Sounds of The Bloodstained Films - Bonus CD of Giallo Themes Compiled By Alfonso Carrillo of Rendezvous. From the archives of BEAT Records Company. Remastered by Claudio Fuiano. This page was last modified on 29 January 2019, at 22:03.